Tentatively titled "Do you know me still? I have finished sculpting the 3/4 figure of Sacagawea with her baby, Pompy. 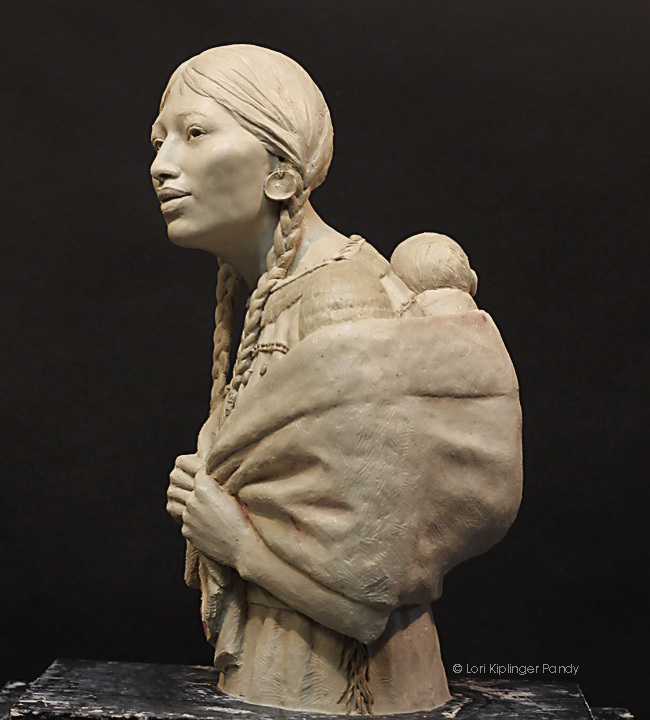 My intent when sculpting this piece is to give some possible insight into what this teenage mother might be feeling when she finally encounters her people again. 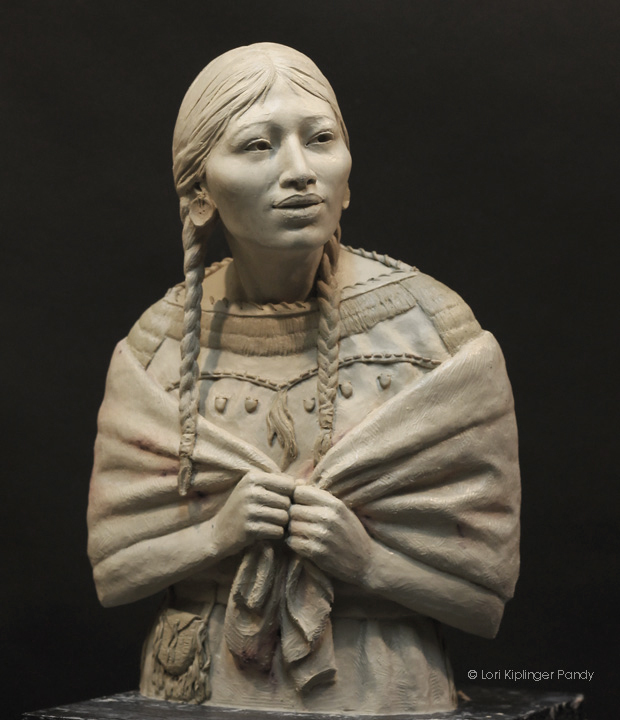 Sacagawea was born into the Shoshone tribe and was kidnapped at around age twelve in1800 by the Hidatsa Sioux and taken from her native Idaho to North Dakota. 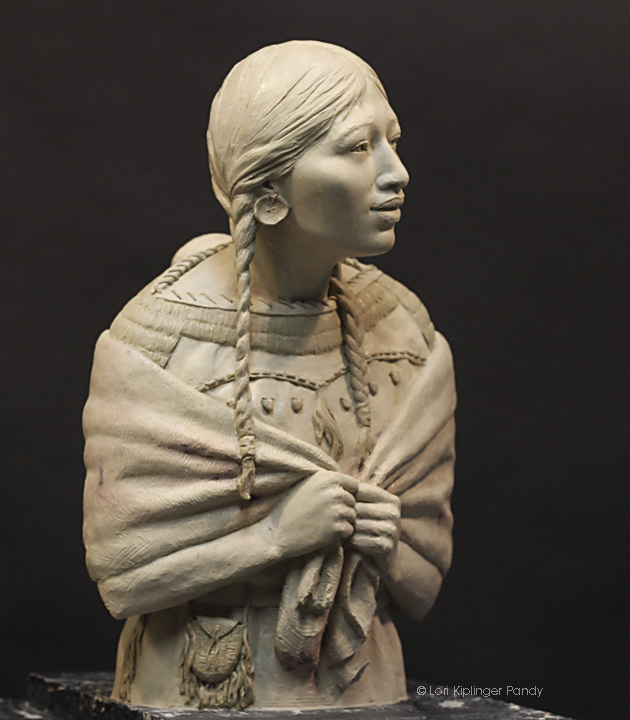 Not long after she was taken as a wife by French trapper, Toussaint Charbonneau. 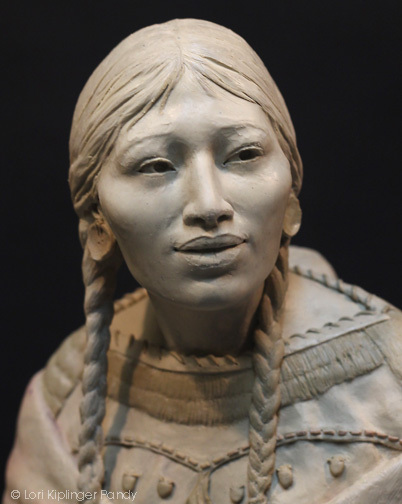 Shortly before joining the Lewis and Clark expedition, Sacagawea (sometimes spelled as Sacajawea) gave birth to her son, Jean Baptiste Charbonneau, nicknamed Pompy. 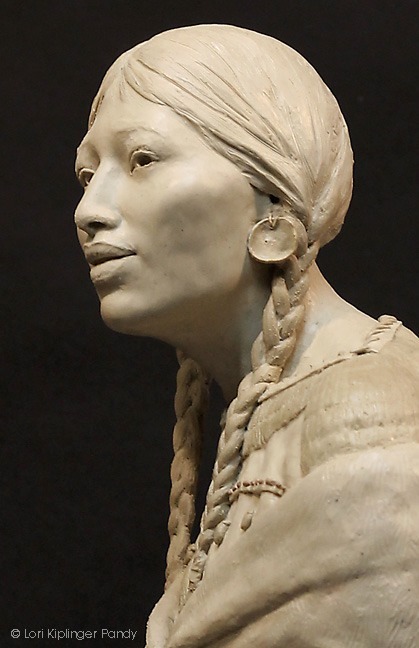 Then in August of 1805, the Lewis and Clark party located a Shoshoni tribe and discovered that the tribe's chief was Sacagawea's own brother. I often wondered what she must have felt when seeing her people after five long years. 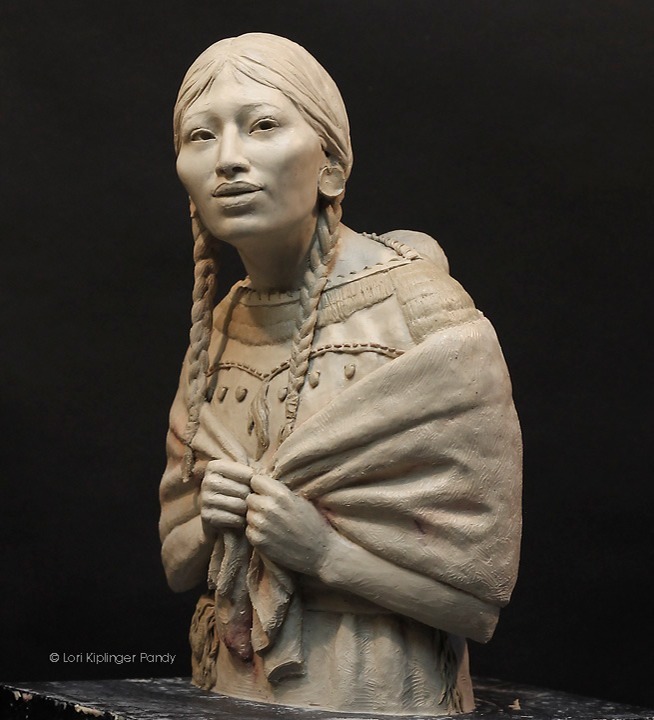 I wanted to capture the conflicting emotions Sacagawea may have felt when seeing her Shoshoni family for the first time in 5 long years since her capture at age 12 and now a mother at age 17. Would she know anyone still - would they know her? 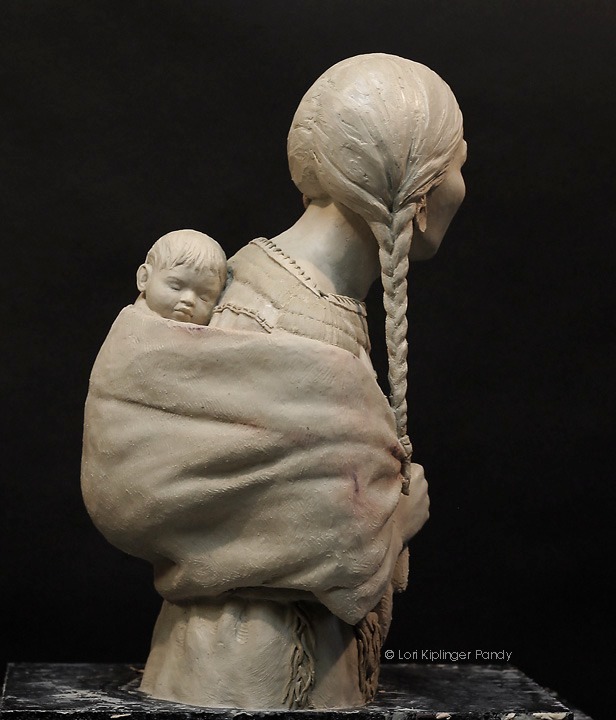 This final clay is complete and is currently having the mold made in preparation for release in a bronze edition this summer.